Crawford University, School of Part-time studies, is now selling application forms for admission into its Part-Time Certificate, Diploma and Degree programmes for the 2018/2019 academic session. 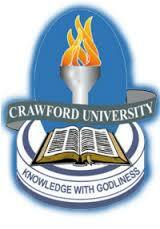 See the requirements and how to apply for Crawford University Part-Time admission form below. Crawford University School of Part-Time Studies, lgbesa, Ogun State or scanned along with hank tellers and forwarded to this email info@crawforduniversity.edu.ng.